We handle moves of all scopes and sizes for homeowners, apartment dwellers, or seniors ready to downsize. Upline Moving is a family-owned company that has helped thousands of clients with their relocations. We understand the special challenges that so often come with moving your family near or far. Our residential movers listen to your needs and treat your belongings as if they were their own to prevent damage or loss during transit. 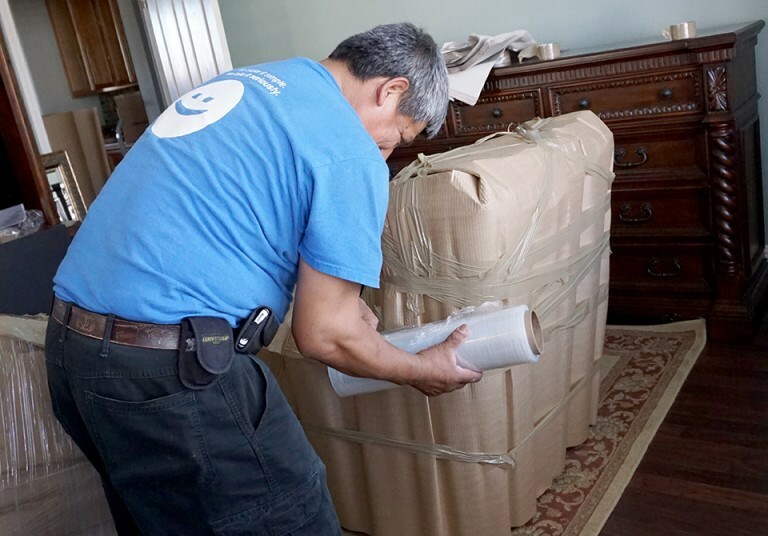 We'll make sure everything arrives safely and promptly to minimize stress and hassle. Do you own a lot of knick-knacks that need special packing? Are you already worn out by planning the move? Give the packers at Upline Moving a chance to quickly and securely prepare your belongings for the move. We use eco-friendly recycled packing supplies to wrap and box your items, and will also recycle leftover waste at the end of the appointment. Our team provides full packing services, and can even unpack everything to your satisfaction at the new home. From a single closet full of belongings to an entire family home, we have storage solutions available for any size household. Our customized storage system includes cutting-edge warehouse facilities located across the country. We'll help you pack, move, and store any type or size of item. Our team can even crate more fragile or valuable items for short or long term storage. Let us know what you want to store and we'll come up with a plan. You deserve the support of experienced Bay Area movers who follow core principles of care, cost-effective pricing, and tailored, high-quality customer service. At Upline Moving, you can find all of these features and more thanks to our dedicated staff of movers and packers. Give us a call or fill out our simple online contact form to sign up for your free consultation and price estimate right away.